Birth is an intense, empowering, life-altering experience. 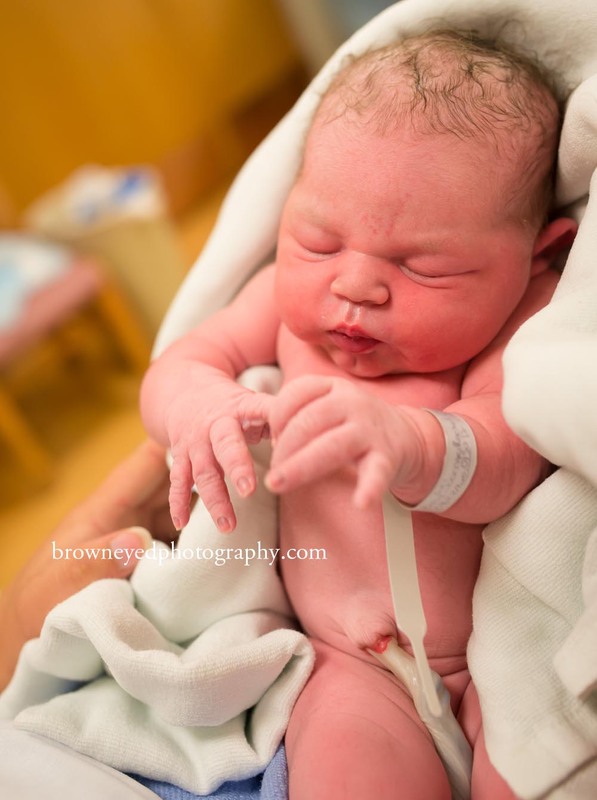 Birth photography is an incredible way to document your experience. On the fence? Here’s a list a birth photography FAQs for you. If you think of another one – let me know! Couples typically contact me in their second trimester. A signed contract and $200 deposit is needed to hold your place on my calendar. I take a limited number of births per month due to the unpredictability of birth. Therefore, the sooner you book me, the more likely I will be available. Do you use flash when shooting a birth? Nope. Never. Birth is safe, secure, and intimate place. This means it’s often dark and quiet. My goal is to be barely noticeable because your job is to be birthing, not being distracted by me (and a flash!). How much do you interact with us during the birthing process? My primary job is to document your birth as it unfolds before me – and minimize my presence. I will however act in a more doula role if this is needed. I have a pretty good sense of when to interact, and when to remain invisible. When should I call you when I go into labor? A heads up as soon as you think things are starting is always appreciated. This may be hours, days, or even weeks before active labor kicks in – and that’s okay. We will then be in contact regularly. Texting is welcome if a phone conversation doesn’t appeal. As soon as active labor is confirmed by your practitioner and/or you’re feeling uncomfortable – that’s when I’ll make my way to you – keeping in mind that it could take up to two hours from the time you say: “come now” to when I make it to your birthing place. What if there’s a snowstorm or it’s the middle of the night or a holiday when I go into labor? That will probably be the case. As a birth professional, I signed up for middle-of-the-night-during-a-snow-storm-on-Christmas-Eve. Call me. That’s why you’re hiring me. I’m on call, available 24/7 starting from 38 weeks until your baby is born. What if you miss my birth for some reason? With ample notice, this should not be a problem. Should this occur due to no fault of the yours or myself, you will be able to apply the money to another session of your choosing. If I miss a birth and it is completely my fault (you attempt to contact me and can’t get a hold of me), then your money is refunded entirely. I typically stay for two hours after the birth. I value the time soon after birth for families to have privacy with their new baby. I find that practitioners are with the new family for the first few hours and by the time they have done all they need to do is about the time I’ve captured many amazing details, moments of oohing and ahhing over the wonder of new life, and family’s are ready for some time alone. What if I end up having a c-section? With a scheduled c-section, it is your responsibility to get permission from your OB for me to photograph parts of your birth experience. In an emergency situation, we will hope to get lucky and get last minute permission to have me with you to capture your birth. If this permission is not granted, you will be given a Fresh Baby session at no charge. Do you post the images on social media? Your blog? Even the naked ones? I generally am careful with my angles to create modest images whenever possible. I will always double check with you about which images you are comfortable sharing online, and which you’d rather keep private. You can expect 80-100 images. Will the images be in color or black and white? Most of my photography is in color, but I do include black and white images. Generally black and white images have a matching color image. How soon will I see the images from my birth? I will arrange to meet with you approximately 4 weeks after your birth in the comfort of your home for your Birth Story Image Viewing. During this time you will receive your book, included in your birth package, and have the opportunity to make any print or product purchase that interests you. This will also be the time we discuss any images you would rather not be shown online. Do you have doulas, midwives, and other birth professionals you’d recommend? I do! I’m active with the North Country Birth Resource and as a result know many of the birth resources in our area. I love talking birth, advocating for birth, and sharing my knowledge and experience with expecting families. So ask away! Besides my baby-related photography, I also do families, weddings, and high school seniors.